offene Big-Data-Plattform auf Basis aktueller Technologien, Umsetzungen und Konzepten wie der OPC Unified Architecture (OPC UA), der Industrie-4.0-Verwaltungsschale, Apache Kafka und verteilten Datenanalyseframeworks wie Apache Spark vor. Kaufmann, T. (2015). Geschäftsmodelle in Industrie 4.0 und dem Internet der Dinge: der Weg vom Anspruch in die Wirklichkeit. Springer-Verlag. Pethig, F., Niggemann, O., & Walter, A. (2017, July). Towards Industrie 4.0 compliant configuration of condition monitoring services. In Industrial Informatics (INDIN), 2017 IEEE 15th International Conference on (pp. 271-276). IEEE. Monostori, L. (2014). Cyber-physical production systems: Roots, expectations and R&D challenges. Procedia Cirp, 17, 9-13. Schriegel, S., & Jasperneite, J. (2007, October). Investigation of industrial environmental influences on clock sources and their effect on the synchronization accuracy of IEEE 1588. In Precision Clock Synchronization for Measurement, Control and Communication, 2007. ISPCS 2007. IEEE International Symposium on (pp. 50-55). IEEE. Wu, X., Zhu, X., Wu, G. Q., & Ding, W. (2014). Data mining with big data. IEEE transactions on knowledge and data engineering, 26(1), 97-107. Obitko, M., & Jirkovský, V. (2015, September). Big data semantics in industry 4.0. In International conference on industrial applications of holonic and multi-agent systems (pp. 217-229). Springer, Cham. Draht, R. (2010). Datenaustausch in der Anlagenplanung mit AutomationML: Integration von CAEX, PLCopen XML und COLLADA. Springer-Verlag Berlin Heidelberg. Shearer, C. (2000). The CRISP-DM: The new blueprint for Data Mining. Journal of Data Warehousing, 5(4). WESKAMP, Jan Nicolas et al. 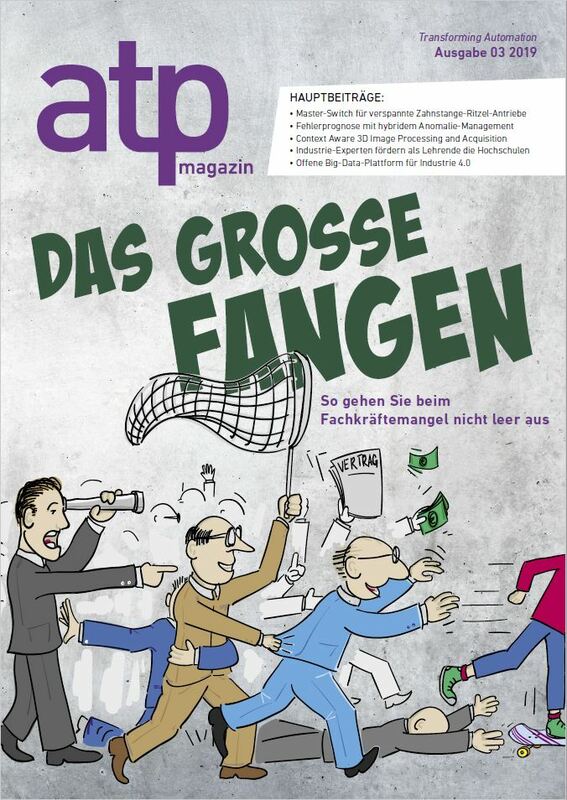 Offene Big-Data-Plattform für Industrie 4.0. atp magazin, [S.l. ], v. 61, n. 3, p. 96-105, märz 2019. ISSN 2364-3137. Verfügbar unter: <http://ojs.di-verlag.de/index.php/atp_edition/article/view/2377>. Date accessed: 23 apr. 2019. doi: https://doi.org/10.17560/atp.v61i3.2377.